Everything is special about a princess cut diamond solitaire engagement ring. 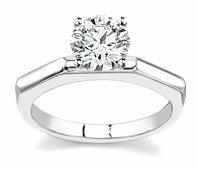 This is the reason why many women seek the princess cut solitaire ring which is a little more unique than the classic round diamond solitaire. Since diamond solitaires are highly versatile, they can be cut into a number of desired shapes and set in various ways. Thus each diamond solitaire would give a unique sparkle to the overall appearance of the ring and also to the person wearing it. Princess cut diamond solitaire have also become an alternative to the traditional round cut diamond and owing to its unique shape and sparkle, the style is gaining popularity very quickly. It is the second most popular diamond shape being purchased today. Being one of the most recent innovations of diamond industry, the princess cut diamond has gained tremendous popularity particularly as engagement rings. The square shape is the significant feature of the cut which is attained by mixing both the classic step and brilliant cuts to design the stone. Ridges are formed along the edges of the diamond using step cuts and thus the top part would be left flat. More facets are added to increase the sparkle and fire of the diamond using brilliant cuts. The combination of the two cuts will result in approximately fifty facets for the diamond making it look fabulous. The princess cut solitaire is exclusively designed to portray the brilliance of the diamond. If they are in cut in a flawless manner, the stones flash with light and thus catch your attention. Since they are so adorable, many brides like to highlight the diamond in very simple settings. 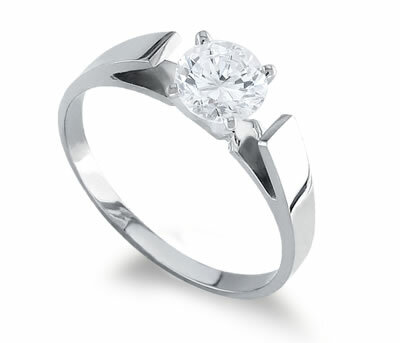 When considering metal choices, platinum is the most sought after metal for the setting. 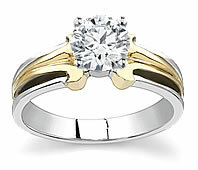 However solitaire rings are also featured in yellow or white gold. Prong settingss are a perfect choice as they allow light to shine into the stone from underneath. Cathedral settings are also favored while bezel settings are somewhat less popular but afford a more modern look. Since the princess cut is a mixed cut design, the diamond inclusions and flaws would not be as prominent. Flaws are usually less noticeable and it is possible to have a gorgeous ring for a lesser price if the stone is not perfect. However the additional facets add brilliance and increase the diamond’s inherent sparkle. 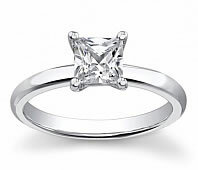 Princess cut diamonds are also one of the least expensive diamond shapes to make and this makes it more affordable.